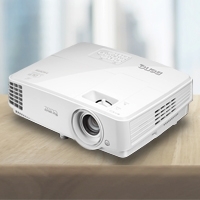 The SH910 serves every presentation with an high brightness of 4000 ANSI lumens, and an ultra-high contrast ratio of 3000:1 with uncompromised Full HD 1080p image quality, extensive HDMI connectivity and two 10W SRS-certified built-in speakers. The SH910 makes an ideal projection solution for all. Boasting a ultra high contrast ratio of 3000:1, the SH910 translates image with razor-sharp details defined by a broader range of subtle color differences. As a result, text is sharper, cleaner and easier to read. 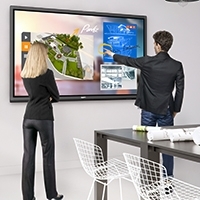 The BenQ SH910 offers seamless support for a variety of LAN Control settings ­ whether it's Crestron, PJ-Link or SNMP. And, all you need is a LAN cable to set things up. Projectors are powerful tools for making successful presentations. 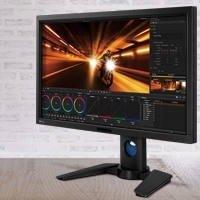 To ensure a smooth presentation on your part, BenQ has integrated various display functions into the SH910 to fit every need! Enjoy the convenience and flexibility of a big 1.5x zoom ratio! This feature opens up the space with an impressively wide range of throw distances ­ allowing you to set up the projector without spending extra on re-constructing the room. 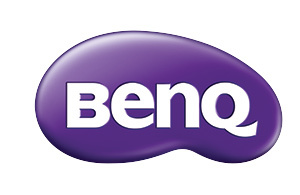 BenQ's DLP projector engine design enables a cooling time reduced by over 60%. This gives you the extra time you need for wrapping up your presentation and saves IT managers the maintenance and repair hassles with minimized risk of heat damage to sensitive internal components. The SH910 comes with two built-in 10W speakers to help enrich your presentation with top quality images and sounds. These speakers are sealed and secured within the projector housing by BenQ's anti-shake design to ensure projection stability at all times. The built-in 10W speakers are SRS-certified to deliver refined the audio quality, making the SH910 the perfect choice for playing video footages as a part of your presentation.